About a year or so ago, the bottom began to fall out of my supply of personal energy. At the time I assumed it was due to my age, or to all the effort I was pouring into our move down here from Colorado Springs, selling the Springs house, fixing up our Scottsdale house, and so on. Now, virtually all of that stuff is done with…and my energy hasn’t come back. I started a decent new novel at the end of 2016, and while I got off to a pretty brisk start, I’m now 42,000 words in and making little progress. 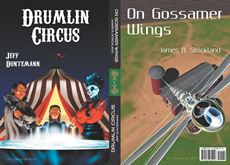 I have other projects that I’ve done some work on, however, writing is the most difficult thing I do. It’s also the most important to me personally. If something starts getting in the way of my writing, I have to get to the bottom of it. So it was that in February of this year I did a sleep study. I’d had one done at a Colorado Springs sleep clinic in 2010, but the wires and electrodes and everything kept me awake so much of the night that the pulmonologist declared the study inconclusive. To have a sleep study, well, it helps to be able to sleep. The headband gadget was remarkably comfortable, at least compared to the ratsnest they trussed me up in back in 2010. I was able to sleep on my side, which I’ve done now for probably forty years. (When I sleep on my back I tend to compress the ulnar nerves in my arms, which makes them go numb and then prickly when I wake up.) I took a new-model sleeping pill (I’ll come back to that) and managed to sleep for almost the entire night while the headband gathered data. The good news ended there. I returned the headband device to the sleep lab, where they downloaded the data and sent the reports to my pulmonologist. I had an AHI of 36, which means I stopped breathing an average of 36 times an hour across the seven hours that I slept with the thing on my head. Basically, I stopped breathing every…two…minutes. No wonder my blood oxygen was excursing down into the low 80s. Breathing is good, and tech steps in where nature fails. I was given a prescription for a ResMed AirSense 10 Autoset APAP device (above) and was fitted with a couple of face masks. Laying hands on the actual machine involved a surreal struggle with insurance paperwork, but I finally got it, and about ten days ago I started using it. For the first week, my average AHI was…3.67. That’s literally an order of magnitude better than what the headband reported. Last night was my best night yet, with an AHI of only 2.44. I’ve read a number of people report that starting in on CPAP made them feel like ten-year-olds again. This has never been a longing I’ve had (what, go through puberty twice? I think not!) and in truth the improvement I’ve felt so far has been, speaking charitably, incremental. The road has been rocky, and I’m going to have to divide the full story into several entries. Stay tuned. Posted in: Ideas & Analysis, Reviews. Congrats on getting the sleep study, and getting (and using) the CPAP machine. I’ve been on various CPAP machines for more than 15 years. It’s probable that the sleep apnea I had caused the occasional atrial fibrillation I developed before the sleep apnea diagnosis. Since then, I sleep much better. Can’t sleep without my CPAP machine; the latest one (I’ve had 4-5 over the years) is the same as yours. And the mask I use now is the little nasal pillow things from Resmed; the most comfortable ones of all. So Huzzah for you! Sleep apnea can be a silent killer (breathing while sleeping is important). Congrats to getting diagnosed. Now stay with it. I am also a recent CPAP user. My sleep study was an eyeopener. I was able to get a definitive diagnosis three hours in. Then I was fitted with a mask and my brain immediately went into REM sleep. I woke up feeling better than I had in years. It’s a learning process and I still struggle with mask issues, but I wake up feeling great most every day now. I am ‘celebrating’ 10 years with CPAP. The first couple of weeks were hard, getting used to sleeping with the mask, and I even pulled a muscle in my back due to the odd position which I adapted. But after that … I can’t sleep without my mask! Maybe the pressure in your machine is too high; I had to experiment a little in order to find the correct pressure. Also, weight increase can cause a change in the required pressure. Do you have obstructive sleep apnea (apparently about 85% of cases) or central? 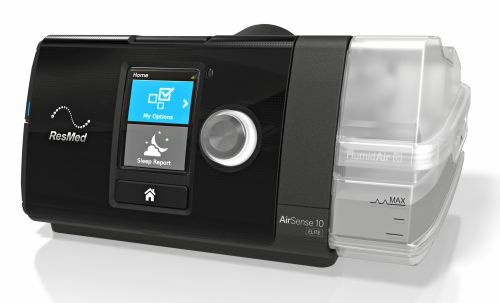 I have central sleep apnea, in which the brain doesn’t send enough signals to the body to cause it to breathe, so CPAP is not an option for me. Ok. Please clarify: You’ve been on CPAP for 10 years but it’s not an option for you? As I understand it, CPAP can ameliorate central apnea just by opening your airway. Almost all of my events are either obstructive or what Sleepyhead calls “Open airway;” I need to see what the difference is. I’m doing OK in terms of the number of events I’m getting. My AHI has been less than 5 (indicating “normal”) from the first day I used the machine. Still having issues with pressure and leaks, and will try taking the max pressure down a little tonight. Last night the damned thing went up to 17 cm pressure, which woke me up and made me feel like I was a balloon being inflated. I like the nasal pillow mask and will probably stick with it. Right now pressure and leaks are the primary issues. What I probably meant was ‘CPAP is not an option, it’s something which I have to have’, i.e. I can’t choose not to use CPAP. The automatic machines are problematic in that sometimes the pressure goes far too high. My machine was set to 7cm pressure, but after I was having about 20 events/hour, I was told to experiment. Now the pressure is down to 5cm; sometimes I have only a few events/hour but sometimes 15-20 (I seem to have some other problem with my nose suddenly getting blocked in the middle of the night). Your comment about a surreal struggle with the insurance company reminded me of a friend who had similar difficulties. He felt like there was a sleep-industrial complex made up an unholy alliance of doctors, sleep labs, CPAP vendors and insurance companies. He actually had to pay more through his insurance deductible that if he could have simply bought a unit on the open market. Sleep studies are absurdly expensive. My wife opened the sleep lab at her hospital back when she was in medical administration. There is no need for the huge numbers . . . except to get a windfall from some poor schmuck who doesn’t have insurance. The problems I had were indeed insurance-related, but at the heart of it they were the fault of the interface between the sleep clinic and Medicare. In truth, I got a prescription for the machine, and then was able to buy it on the open market, I’m sure for less than insurance of any sort would have paid. Medicare’s conflict-of-interest regulations prevented me from buying it from the sleep clinic, and after running into bureaucratic screwup after screwup I was in no mood to go somewhere else and start again, given that I already had the prescription. I paid cash for the masks (they’re fairly cheap, though I’m sure they could have been cheaper) and now I don’t have to screw with hardware acquisition anymore. The bottom line on this is that the equipment will get better and better, and in a few years I suspect I will be able to buy a very good sleep study headband device like the one I used in February for less than what I paid for the APAP machine. Finger pulseox gadgets were $200+ until China started making them. I bought mine for $40. When it breaks I’ll get another and probably better one, likely for even less. We would need a utility like Sleepyhead to gather and graph the data obtained from the device, and that will happen too. Although I’d prefer not to be old at all, this is the best time in human history to be old. JEFF,read your CPAP adventures eagerly. For the first 10 or 15 years of my wonderful marriage I tried to flip my 6/4 husband like a pancake until finally many nights took refuge in my then little daughter’s bed. It was as if a battle of horns and drums was taking place in mine and my dear husbands bed. I threatened to record it for him but never did. At last when he was going to what he thought would be a routine check up with our doctor I suggested he mention these sleep (or lack of on my part) issues I was dealing with, To my surprise he vehemently refused, I replied “Ok when he asks how you are just sit on your hands and say “guess”! He laughingly saidto the doctor “Polly said…….” to which the doctor also laughed and said don’t worry it is probably nothing but you can take a sleep study to pacify her.” As it turned out he desperately needed the device and manfully used it….despite the fact that the early ones were very uncomfortable, ackward to carry on planes etc. The bridge of his handsome nose became very sore……and so on. Sometime after that he had open heart surgery that revealed AFIB and a host of other problems including a most uncomfortable problem that in layman’s terms amounted to water on the lungs. The treatment could be described as horrific at best…….even to my brave and sturdy WW2 Marine. The question I sometimes ask myself is a “what if…..” What if i had insisted earlier that he report it to the doctor, what if he had had the sleep study earlier…..Moot questions now. He would be saying NO! do not take any blame….it was in the scheme of things” and perhaps it was, The only reason I have gone to such great length in describing our experience is to encourage you to get the help you need, Your furture may depend on it! Polly. I’ve been using a CPAP for about 15 years now. I experienced 49 episodes an hour. I may have to talk to my doctor about a new perscription. Sounds like the AirSense 10 is the way to go. I’d like to see the data. I haven’t read parts 2 or 3 yet. Because the machine spews out excess air Lisa puts a pillow between us as an air barrier.